A comprehensive range of Dielectric Thermoplastic Safety Padlocks is now available from Spectrum Industrial UAE. Incorporating a non-conductive, non-sparking and non-magnetic dielectric nylon shackle, it’s a cost effective safety solution for environments where a non-metal construction is needed. 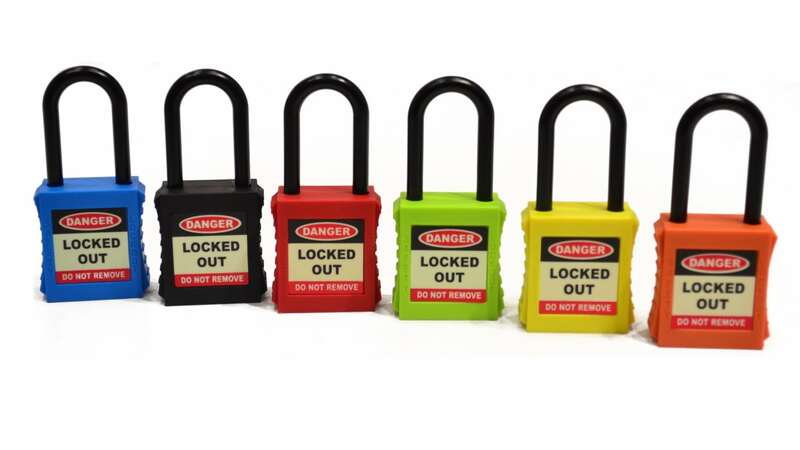 We offer customisation on our Lock Out Tag Out safety equipment. Padlocks can be laser etched with names, registration numbers, company details or other identifying information. We also offer custom printed labels which can include a user photo as means of identification. Spectrum Industrial UAE supply a range of Lock Out Tag Out and Signs that cover all industries including Construction, Oil, Gas, Electrical, Agriculture, Healthcare, Aerospace and Food. Products are available for delivery direct from our Sales and Distribution centre located in the heart of Dubai.